This individual casserole dish gives the homemade feel. Made of cast iron material. 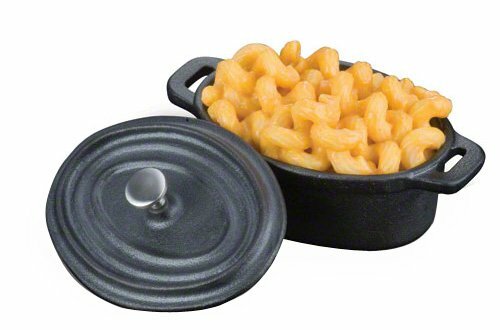 With great styles these mini pots are just adorable for individual heated servings. This product requires handwash only. 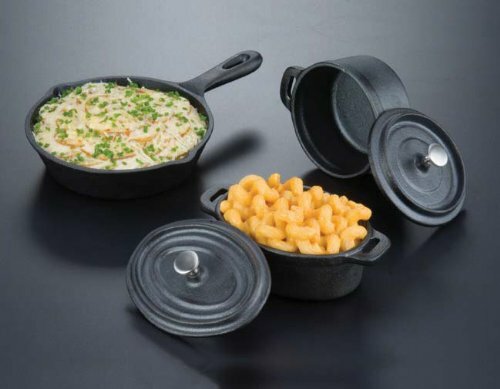 This miniature cast iron dish is made to be brought right to the table and served directly to guests for a countryside cooked appeal.